We all know the importance of the call to make our communication efficient. The call makes us feel connected to the person in real time. But nowadays with advancement in communication channels, making the call to someone is an expensive process. Telecom companies have set high rates on calls which make it difficult for us to enjoy our conversations over a call. That is why customers have opted for other communication channels such as SMS and social apps. Is calling failing in this fast world?? Surely not! There is no comparison between the call and other communication channels. Calling is one-to-one communication in which both the persons are equally involved in the conversation. To provide convenience and ease to their users, networks providers always offer incredible calling plans and packages. These bundles make user get unlimited talk time at charges less than the standard calling rates. The user always attracts to offers that give them more at less price. Telenor is the only network that always delivers what it promised. Their all bundles and offers are unique and provide more usages than any other network provider in Pakistan. Like always, Telenor once again comes forward with another incredible calling plan. 2 paisa daily offer has all that you needed for good call communication. Telenor 2 paisa daily offer to allow you to call any number at least possible rates. You will avail this offer without any stress about limited resources and high charges. For subscription process, call charges and other details, you can check the following details of the offer. For activating the 2 paisa daily offer, you have to do a simple step. Dial *020# from your prepaid connection and start enjoying the best offer in the town. You will get a confirmation message about the successful subscription. 2 paisa daily offer will give you the opportunity to have talk time at one of the lowest rates. You can avail this daily offer by paying just Rs 1.20 including taxt. Other than this you will be charged just 0.02 paisa per second. You have to pay call set up charges on every call. 2 paisa offer has something unusual in its bag. You will get incredible rates to make calls on all local networks. Also, you have to pay the lowest rate per second. 2 paisa daily Offer is valid only for prepaid subscribers of Telenor. The offer will remain effective for 24 hours of the day. 12 paisa including tax as call set up charges will be applied to each call. Default call rates will apply upon expiration. You can re-subscribe to this offer only after subscription. You can make calls on off-net and on-net numbers as well. FED taxes will apply according to your area. 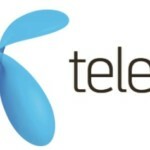 Telenor has right to change the incentives and rates of the offer any time. Still thinking whether you should avail the offer or not then wait no more and activate 2 paisa daily offer now. You will never get this fantastic offer on any other network. It is far from any doubt that now a day’s people are using more mobile than ever. Mobile phones have provided us many ways to stay in touch. With various communication channels, it’s hard to decide which channel will remain suitable for us. Every channel has its effectiveness, but the most important way for communication is calling. The call can play the more critical role than conversation over texting and internet. In the productive years of mobile communication, calls were highly expensive, and most people preferred calling through landline. But today you can get most out of your mobile calls at reasonable rates, and that’s the reason mobile phone has replaced landlines to much extent. Telenor is the leading communication company in Pakistan. It understands the importance of low-cost calls and always provides a cost-efficient solution to their customer’s needs. Not only for on-net calls but it also offers cheap rates for off-net calls as well. Telenor always provides a variety of calling plans and bundles accessible at cheap rates. These call bundles make you stay connected with the people that matter most to you. Recently Telenor has introduced its 2 paisa offer to make you’re calling more efficient than ever. Telenor 2 paisa weekly offer give you the opportunity to keep in touch at almost no cost. This offer is different from other call bundles. 2 paisa offer does not include any free calling minutes or other benefits, but by subscribing to this offer, you will charge lowest rates. With this offer communicate with your mates unlimitedly for a whole week with low price. To enjoy this offer to its fullest, first, have a look at its detail. How much will it cost you?? Have the lowest rates on all your calls with 2 paisa offer at just 2 paisa per second. No extra or additional charges will be deducted. However, call setup charges will apply. How can you subscribe the offer?? Want to enjoy lowest calling rates on any network then subscribe to Telenor 2 paisa offer by dialing *345*227#. You will receive confirmation messages regarding successful subscription. What incentive will you get?? Get amazing call rates on any network in Pakistan with this offer. This offer will give you the opportunity to make unlimited calls on both on-net and off-net numbers at 2 paisa per sec. What are terms & conditions of the offer?? Anyone who is a Telenor subscriber can avail this offer. The offer will remain valid for a week from the subscription day. Default charges as per package plan will apply on the expiration of the offer. Offer can be withdrawn or changed anytime as per Telenor strategy. Call setup charges of 12 paise + tax on each new call. FED tax will apply depending upon your region. Telenor 2 paisa offer is available across all networks nationally. This offer gives you complete benefit of unlimited calling by paying the lowest rates. So, subscribe this offer without any further delay and get connected with your best mates.